**Based on estimated average student expenses. Average total expenses include room and board costs for commuter students, which are average estimated living expenses for students living off-campus but not with parents. *Sample too small to provide meaningful information.1Source: Trends in College Pricing Annual Survey, the College Board, 2010-2011 academic year. A Higher Gear in High School Many high school students are mature enough to plan for college at a deeper level. Appropriate planning may include the following: Matching personal aptitudes with vocational interests – High school guidance counselors can help students learn about careers that utilize skills in math, science, language arts, social studies, and other areas of interest, as well as postsecondary courses of study in these areas. Maintaining high academic standards – Colleges prefer applicants that have exceeded basic requirements and taken more challenging courses in language arts, math, science, social studies, foreign languages, and other areas. Many high schools permit qualified students to earn college credits by taking Advanced Placement courses. Excelling in these classes may demonstrate motivation and reduce the number of academic requirements after a student enters college. Learning about college costs – Students may gain a deeper appreciation of their family's financial sacrifices when they realize how expensive college is. They can learn about college costs from the College Board at www.collegeboard.com, the U.S. Department of Education at www.ed.gov, and high school guidance offices. Researching scholarships – There are numerous Web sites with information about sources of financial aid. For example, www.fastweb.com and www.finaid.org contain search engines with data about thousands of scholarships with varying eligibility criteria. In addition, www.fafsa.ed.gov provides an overview of federal student aid programs, including Pell Grants, campus-based aid programs, Stafford Loans, PLUS Loans, and others. Also, local libraries and high school guidance offices may have information about state-sponsored aid programs and scholarships sponsored by local organizations. Earning money – High school students can set aside a portion of their wages from part-time or summer jobs for higher education expenses. Also, students may be able to obtain jobs that build on career interests as a way of solidifying their future plans. Getting organized – College planning encompasses numerous details, including visiting institutions that a student may want to attend, applying for financial aid, obtaining transcripts and letters of recommendation, and meeting deadlines. A high school student can take responsibility for making sure that important matters are tended to ahead of time. For example, if a student has a school vacation coming up, he or she could help organize a family trip to visit colleges of interest or spend some time completing college applications. 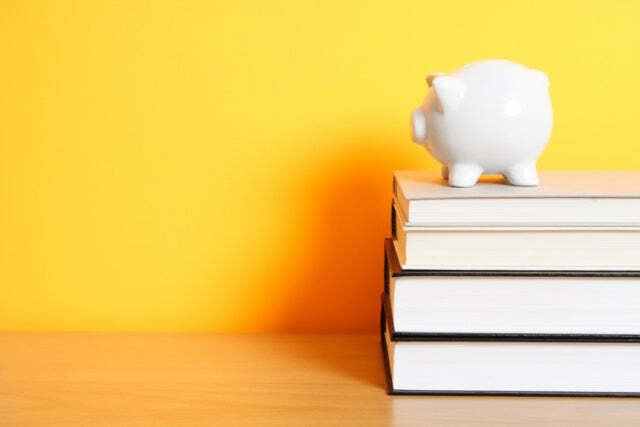 Parents and the prospective student may be able to think of more ideas that could add value to the family's efforts to save for a college education. Getting the budding scholar involved in the process – financially and otherwise – could ultimately be a pivotal lesson in responsibility that impacts his or her later success in life. A Family Affair Young people can assume varying levels of responsibility for college planning depending on their age and interests. Consider the following, if parents are looking to get a middle or high school student involved. 6th - 8th Grades Continue good study habits Enhance computer and Internet skills Participate in arts activities or sports Start saving money 9th - 10th Grades Enroll in college-preparatory classes Establish high academic standards Research careers that match personal aptitudes Learn about college costs Identify prospective colleges Research financial aid Set aside money from babysitting, yard work, or other odd jobs for college expenses 11th - 12th Grades Get a part-time job and continue saving for college Visit colleges of potential interest Take the Scholastic Aptitude Test Enroll in Advanced Placement classes, if available Apply to colleges and for financial aid Points to Remember Although young people may not have access to the same level of assets that their parents do, there are many ways they can help their families plan for college -- maintain good study habits, take college preparatory classes, and set aside money from part-time jobs for college expenses. Many experts recommend introducing children to college planning when they are in the sixth, seventh, or eighth grade, depending on the child's maturity level and interests. Children at this age can be encouraged to maintain good grades, enhance computer skills, and think about potential careers. High school students can explore college planning at a deeper level, including using the Internet to research college costs and sources of financial aid. Web sites such as www.ed.gov, www.collegeboard.com, www.fastweb.com, www.finaid.org, and www.fafsa.ed.gov provide considerable information in these areas. Since attending and financing college requires planning and attention to detail, high school students can help their parents develop a plan to make sure things get done on time. For example, the plan could encompass visiting prospective colleges, completing applications and other paperwork, applying for financial aid, and other tasks. Parents and students can work together to develop a budget for college expenses. Average costs for various types of two-year and four-year colleges are available at www.collegeboard.com. Written by Angel Chavez CIMA® | Contributing writer on Finance For more information please contact by phone (415) 984-6008 or visit http://fa.smithbarney.com/angelchavez. Morgan Stanley Smith Barney LLC, it’s affiliates and Morgan Stanley Smith Barney Financial Advisors do not provide tax or legal advice. This material was not intended or written to be used for the purpose of avoiding tax penalties that may be imposed on the taxpayer. Clients should consult their tax advisor for matters involving taxation and tax planning and their attorney for matters involving trust and estate planning and other legal matters. The author(s) and/or publication are neither employees of nor affiliated with Morgan Stanley Smith Barney LLC (“MSSB”). By providing this third party publication, we are not implying an affiliation, sponsorship, endorsement, approval, investigation, verification or monitoring by MSSB of any information contained in the publication. The opinions expressed by the authors are solely their own and do not necessarily reflect those of MSSB. The information and data in the article or publication has been obtained from sources outside of MSSB and MSSB makes no representations or guarantees as to the accuracy or completeness of information or data from sources outside of MSSB. Neither the information provided nor any opinion expressed constitutes a solicitation by MSSB with respect to the purchase or sale of any security, investment, strategy or product that may be mentioned. Article written by McGraw Hill and provided courtesy of Morgan Stanley Smith Barney Financial Advisor Angel Chavez, CIMA® Morgan Stanley Smith Barney LLC. Member SIPC.